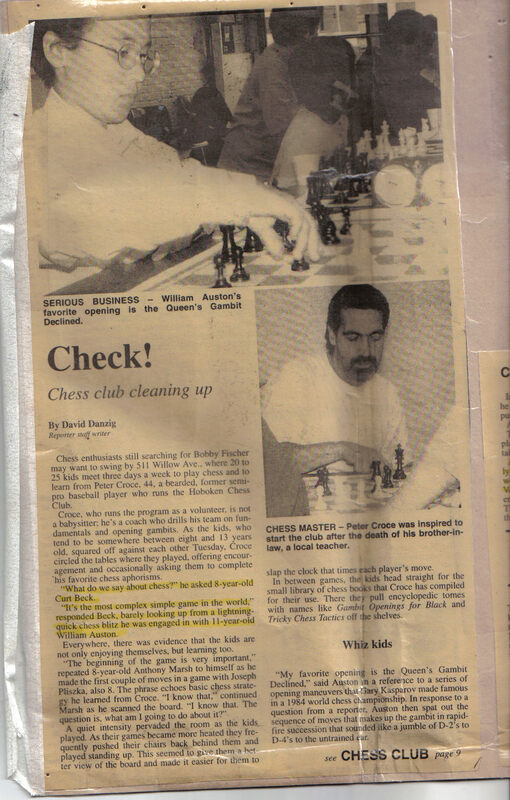 Peter Croce is a proven Chess instructor. He has over 6000 students. Over 45 team championship trophies. 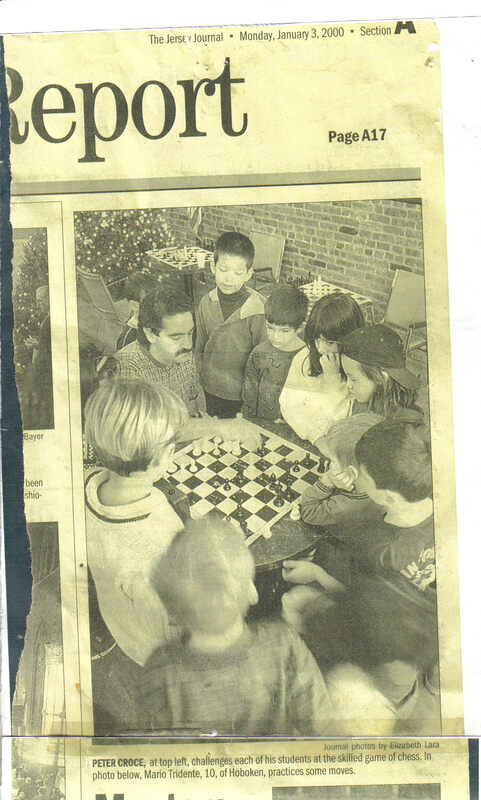 You may or may not be aware, I have been promoting chess in Hoboken for many years now. 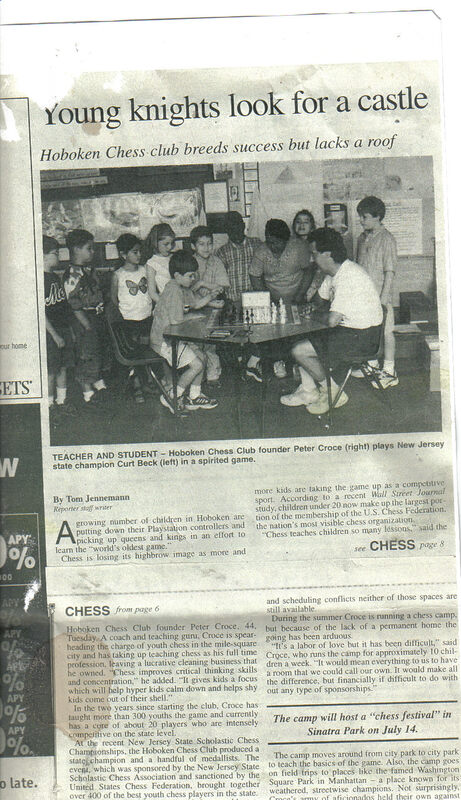 I am proud to say I have taught over 6000 children how to play the greatest of games. In this time we have been to over 100 tournaments, where I am very, very proud to say we have championed not only in a few, not many, but in ALL of them! Including 9 titles as New Jersey State Champions in a row. 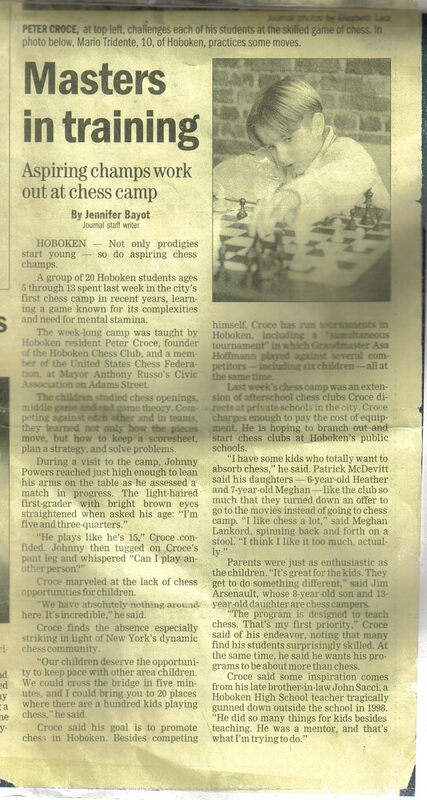 The Hoboken Chess Club has been featured in numerous newspapers and have been covered on the local television networks a few times for these outstanding successes. 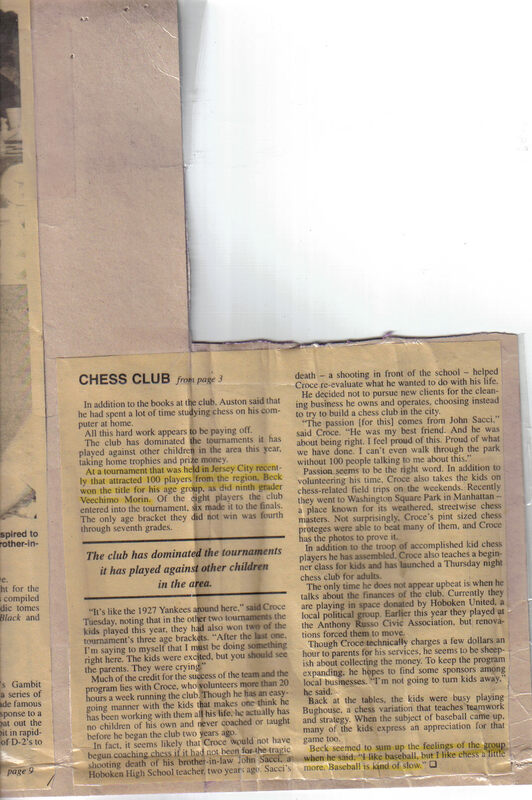 And just recently the City of Hoboken had a dedication in my honor and dedicated 3 chess tables at Church Square Park to myself and our program. 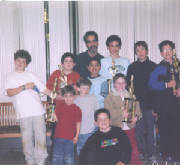 I have volunteered in this community in organizations such as the Boys & Girls Club, The Hoboken Library, The Hoboken Family Alliance, The Hoboken Housing authority, The Police department, National night out, The Hoboken Recreation department, Coaching Baseball, Basketball and Soccer, to name a few and was given a special award At DeBaun auditorium in front of a few hundred or so community members as A community hero, An honor I am most proud of. However, my biggest joy is teaching children how to play for the first time, which I truly believe I excel more so then in my outstanding tournament record! These are some press and thank you letters from such groups such as the Police dept , National night out, Hoboken Public Library, The Hoboken Boys and Girls club. The Hoboken Department of recreation and the Hoboken Family Alliiance. The Hoboken Board of education, The Hoboken private schools and the Hoboken Catholic Schools.